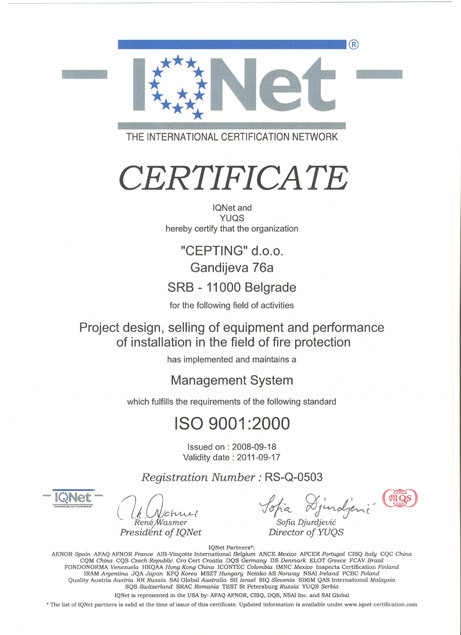 Center for planning and engineering Cepting Ltd. was founded in 1993. 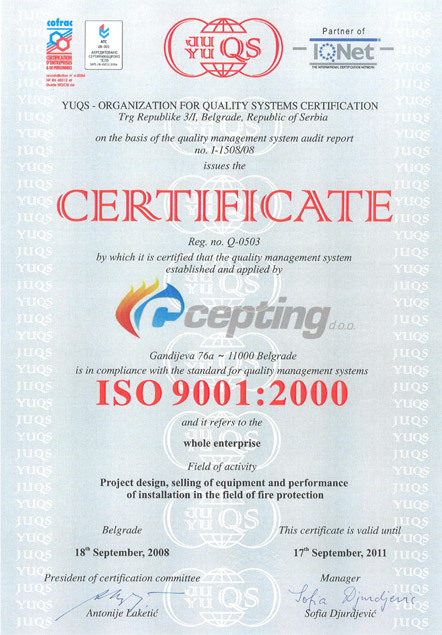 Company founders, Mr. Miodrag Kadic and Mr. Dragan Sekulovic are Serbian leading experts in the area of fire-fighting systems and authors of great number of books and publications in that field. Experts team in Cepting Ltd. - Belgrade gathers very experienced and capable engineers, such as mechanical engineers, electrical engineers, architects, civil engineers, chemical engineers; also there are lawyers and economists. Planning office is equipped with cutting-edge technical equipment and computers, which provide high-quality and efficient work. Our engineers have great experience in planning automatic installations of fire detection and fire extinguishing systems, designing fire-fighting projects, preparing reports of fire danger zones and developing concepts of fire protection. 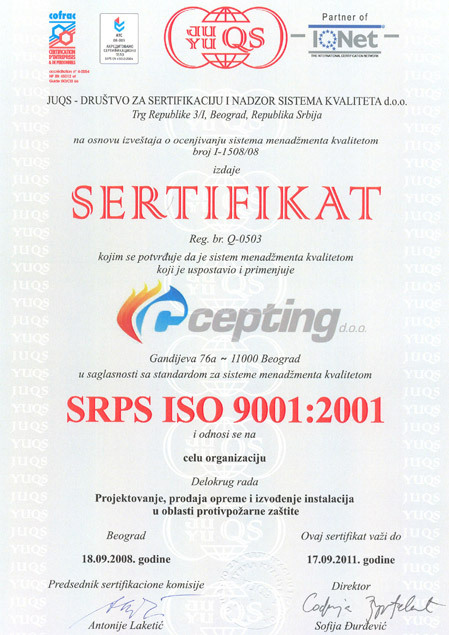 Cepting Ltd. reference list contains great number of projects for all major buildings and constructions in Serbia & Montenegro and also throughout the world, such as airports, power plants, business centers, apartment buildings and congress centers, factories, theatres, and high-capacity underground and overground garages. Center for planning and engineering Cepting Ltd. has all the necessary licenses and certificates.